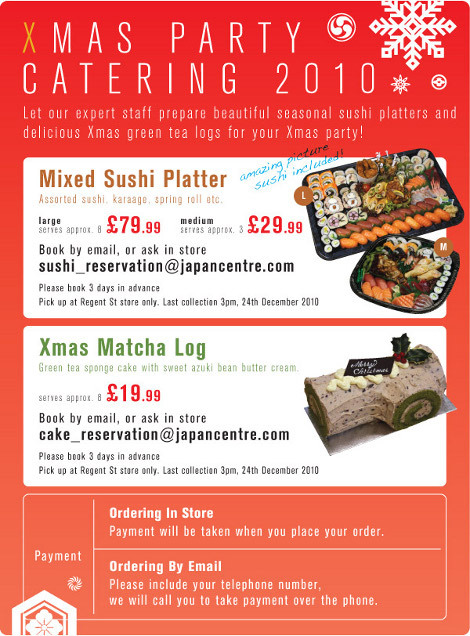 Lastly, if you are having a Christmas party at your office, why not Japanese it up a little and check out some of our Christmas catering services. We have some fantastic sushi platters available and our green tea flavoured Christmas log is delicious, mmm! Posted in Food and tagged christmas, Gifts, presents, xmas. Bookmark the permalink. the ‘calligraphy set’ sounds interesting! could you give some more detailed information please? 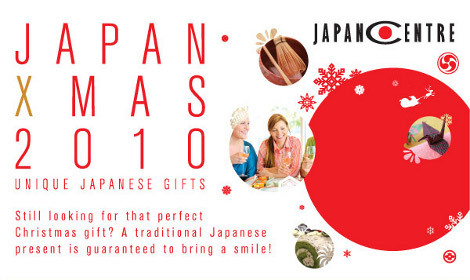 It has all the items needed to start creating some great Japanese shodo and comes in a special case with sections to hold all the items securely.